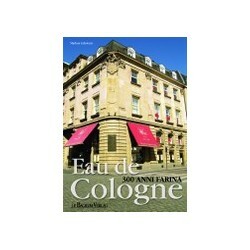 The history of Farina Eau de Cologne Originale is as thrilling as a novel. 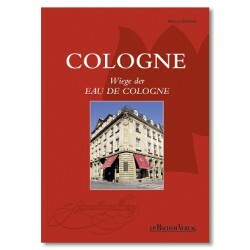 Plagiarists, pseudo-relatives and secret formulas are just some of the topics you will find, when researching about the history of the famous Eau de Cologne. The historical facts however, can be proved by reliable sources. Nevertheless, the history of the perfumer Johann Maria Farina, who came to the city of Cologne in 1709 and created a perfume that is still popular nowadays, inspired authors to write novels. 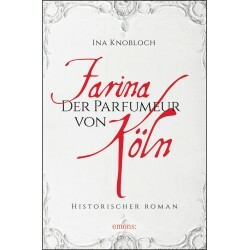 Pick one of the books and novels below and read about the fascinating history of Farina Eau de Cologne Originale. 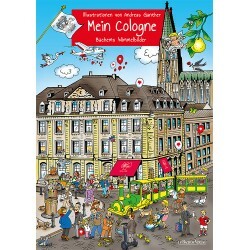 Wordless picture book "My Cologne"
Wordless picturebook "My Cologne", illustrated by Andreas Ganther, 5 illustrated cardboard double pages, 27 cm x 37,7 cm.